GoodFTA Introduces Their New FTA Video Channel on YouTube! Many people when they buy a free to air satellite receiver such as a Conaxsat Nano, Sonicview 360 ELITE or others are in a good position to make the learning curve understand how to setup your FTA Receiver easier then ever! We show you everything you need to know about setting up a FTA Receiver, Scanning your channels and loading FTA FILES on your receiver. We making Free to air easy by walking you through set by step from beginning to end! This is a service we provide free of charge to the FTA Community to help provide the very best FTA Support that we possibly can. Members of our FTA FORUM can gain exclusive benefits such as more videos, live support chat, and the largest online database of guides, tutorials, setup techniques and fta files on the planet. We cover all FTA RECEIVERS! HP has recently unveiled the retro HP 35s Scientific Calculator in commemoration of the original HP-35, the world’s first handheld scientific calculator launched 35 years ago. As part of its year-long 35th anniversary celebration of the company’s entry in the handheld calculator business, HP also named the winners of its nationwide calculator video contest. 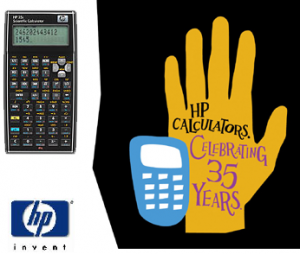 The HP 35s pays tribute to its revered lineage with a classic design that is reminiscent of the original HP-35, including protective raised edges so that the calculator rests nicely in the palm of one’s hand. The new calculator is also HP’s most advanced scientific programmable calculator, featuring ample memory for keystroke programming, equation solving and more than 800 storage registers; 100 built-in functions; and a large, two-line display with adjustable contrast to easily view entries. For greater flexibility, the HP 35s allows users to easily switch between Reverse Polish Notation (RPN), HP’s exclusive time-saving input mode, and the traditional algebraic mode. In addition, the HP 35s comes with a premium zippered protective pouch. The “HP Calculator Casting Call” winners were announced at the HP Golden Calculator Awards, a stylish event held at the Hollywood Roosevelt Hotel, home of the original Academy Awards ceremony. The video contest invited entrants to share their personal HP calculator experiences, and entries were judged based on the categories of Best Actor, Best Actress, Best Screenplay and Best Technical Film. Celebrity guest Sean Gullette, star of the award-winning movie “pi”, presented theVoters’ Choice award. The Voters’ Choice winner won a HP 50-inch High-Definition Plasma TV. The winning videos are at hpgoldencalculatorawards.com and more information onHP’s 35-year history in the handheld calculator market are available to view and read at www.hp.com/go/35celebration. In the tradition of the HP-35 scientific calculator that rendered the slide rule virtually obsolete, HP offers a complete line of market-leading financial, graphing and scientific calculators. The company’s high-end graphing calculators offer more connectivity options and greater configurability than other calculators in their class, and the HP12c Financial Calculator has become an industry standard in the business and finance community with more than 15 million units sold to date. Information about HP’s calculator line, as well as on-demand training videos, computer-based training and step-by-step learning modules for each of HP’s current calculators, is available at www.hp.com/calculators. The HP 35s Scientific Calculator is available for a suggested retail price of $59.99 (1) at www.hp.com and select retailers and bookstores across the United States. A complete list of resellers is available at www.hp.com/calculators/resellers. More information on the HP 35s and other HP mobility solutions is available in an online press kit at hp.com/go/Mobility2007. HP focuses on simplifying technology experiences for all of its customers – from individual consumers to the largest businesses. With a portfolio that spans printing, personal computing, software, services and IT infrastructure, HP is among the world’s largest IT companies, with revenue totaling $97.1 billion for the four fiscal quarters ended April 30, 2007. SinoHub Technology Company, Ltd. today announced that it has been awarded Enterprise Coordinator status at HuangGang customs. This comes on top of “A” Credit status, which was awarded in 2006, and “Green Line” status that SinoHub achieved in 2005. SinoHub is a leading company in the rapidly growing field of electronic component supply chain management services in China (import/export, buffer inventory, procurement fulfillment, just-in-time delivery and Vendor Managed Inventory). The Integrated Supply Chain service suite provided by Sinohub, SinoHub Electronics Harbor™, is tailored to the electronic components business requirements in China. It helps electronic component industry participants reduce inventory costs, shorten purchasing lead-time and solve RMB purchasing and VAT invoicing problems. Because SinoHub only deals with electronic components, we can implement all of the special features which are required by our customers in our MIS system, SinoHub SCM, and still deliver exceptional performance. Since SinoHub SCM is Web based, our customers can know the status of their goods shipments, inventory in our warehouses and financial transactions any time, day or night, from anywhere. SinoHub Technology Company, Ltd. was organized in Shenzhen in September 2000 by veteran entrepreneur Harry Cochran and electronic component industry veteran Lei Xia to facilitate the electronics revolution in China by providing world-class services for all participants in the supply chain of electronic components. EPR Electronics News is a new blog, part of EPR Network, that is going to be focused on and will be covering the electronics news and stories from press releases published on EPR Network.